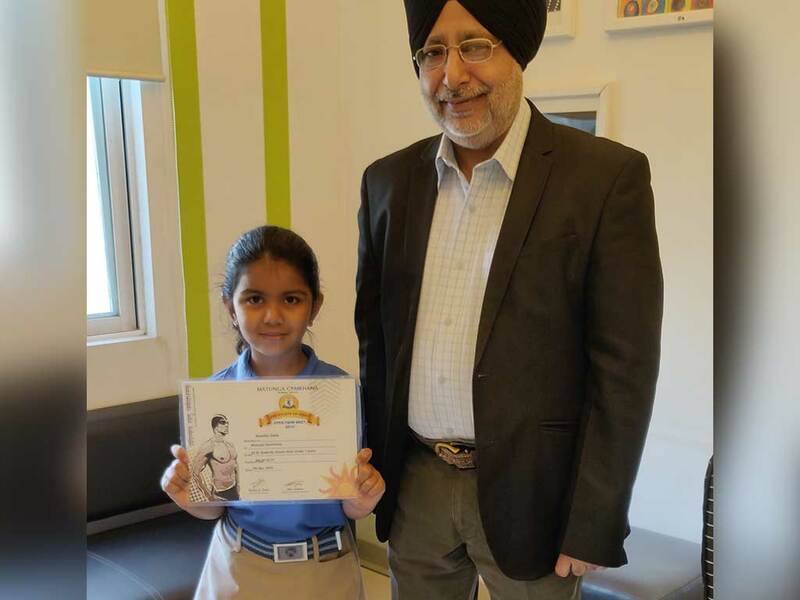 Samika Galia, a learner of Grade 1 Eins had participated in an open Swimming Meet held at Matunga Gymkhana on Sunday, 7th April 2019 in under 7 girls category. The competition observed participants various swimming clubs across Mumbai. Samika has secured the 5th position in 50 meters butterfly stroke.